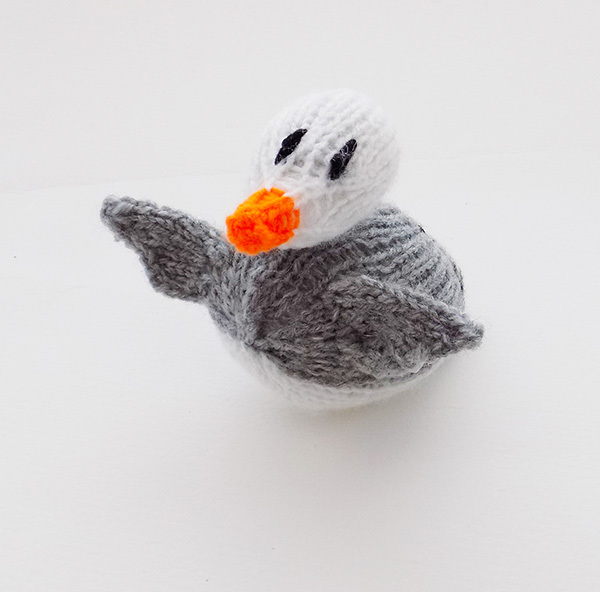 Sinbad is a gorgeous hand knitted baby Seagull. He has grey white and black plumage, black eyes and a lovely bright orange beak. He is approximately 10 CM in length and 8 CM in height. As this is a hand made item, size and colouring may not always be exactly as the image. Perfect for little hands to play with or indeed to perch anywhere in the home!